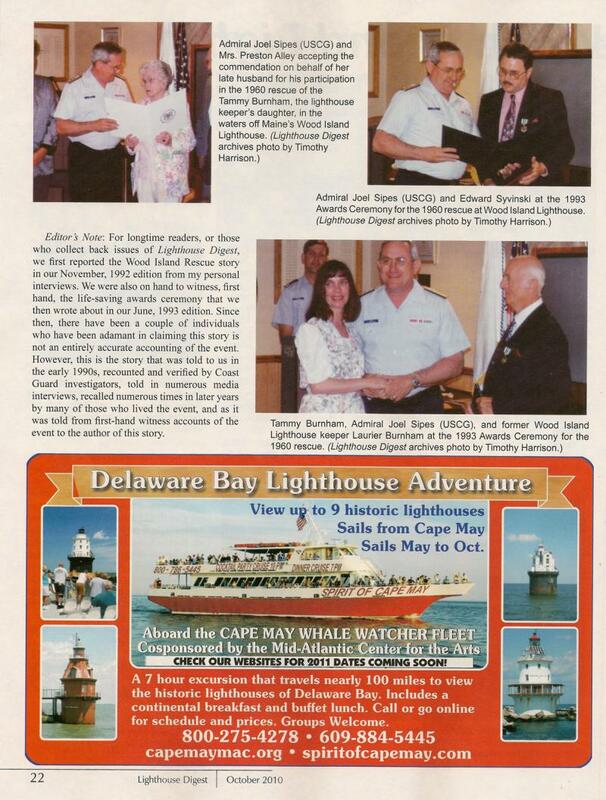 Lighthouse Digest was founded in 1992 by Editor in Chief and Publisher Timothy Harrison. 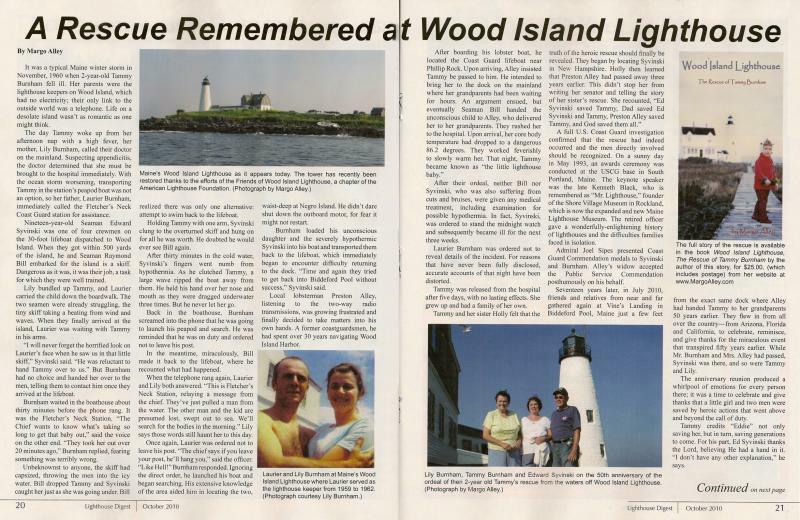 It is the only magazine known that's coverage includes historic and current lighthouse events and an events calendar for lighthouse activities around the United States and elsewhere. They publish a Doomsday List of Endangered lighthouses, and have helped save a number of at-risk lighthouses. They have been credited with uncovering many parts of lighthouse history that had been unknown, or which were thought to have been lost. Each issue carries articles and unusual lighthouse-related stories that, for the most part, cannot be found elsewhere, and many photos, historic and contemporary. Lighthouse Digest's impressive subscription base covers all 50 states and 17 other nations. "The lighthouse and the lightship appeal to the interest and better instinct of man because they are symbolic of never-ceasing watchfulness, of steadfast endurance in every exposure, of widespread helpfulness." 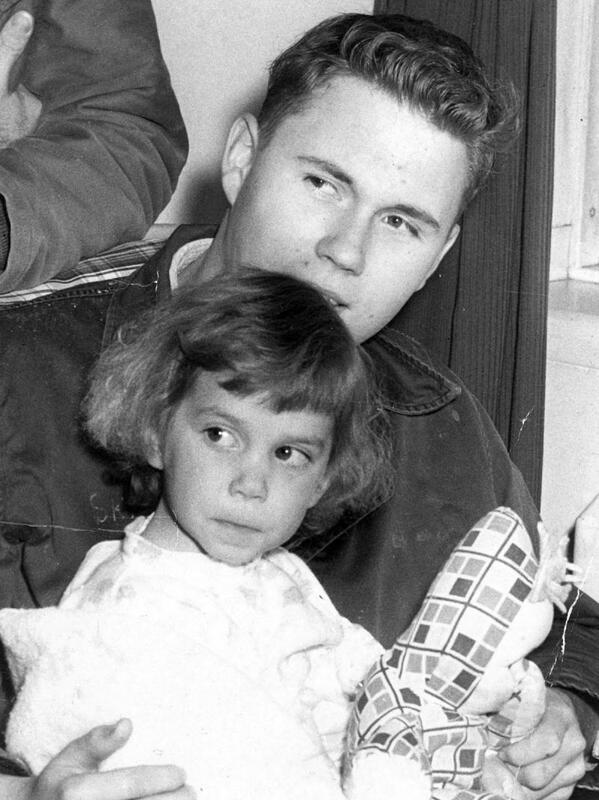 Edward Syvinski & Tammy Burnham after the rescue in 1960 at Notre Dame Hospital.